Odin is hands down the best tool used to flash ROMs on your phone, but how do you find out what Odin version to use on your Galaxy device? Here’s a detailed guide on what the best Odin version you can get specifically for your device and the entire Samsung Odin compatibility list along with it. Quick note: if you’re rooting your device and looking into installing a new firmware, consider unlocking your device first – once your phone’s rooted, it cannot be unlocked. So it’s the best time to do it, it takes minutes and comes with a money back guarantee. Check out our phone unlocking service now. The Android OS was built on the very principle of an open-source software for the mobile platform that isn’t dictated by the manufacturers. While the Android operating system in 2017 is fairly advanced and offers more capabilities than ever thought possible, there is some amount of restraint that Google and specific Android OEM vendors have put forward. For instance, modifying the permissions of your Android device is restricted by default, and the only way to bypass is rooting your Android (and losing the manufacturer warranty). Similarly, since the software updates are controlled by the manufacturer of your Android device, you had no control over the Android version of your device – until Odin software arrived. 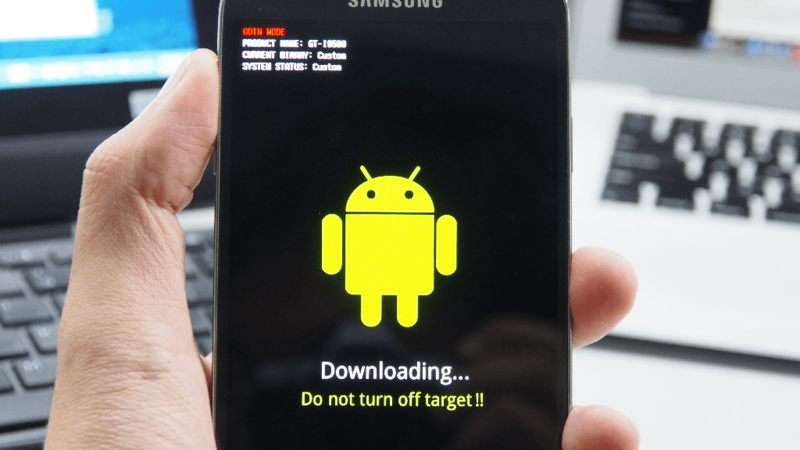 More than half a decade later since it was first introduced to the Android community, Samsung Odin has become the go-to software flashing tool for all Galaxy devices. Odin is a leaked Samsung program that is used internally by the company to flash software updates and restore Samsung devices. Enslaved to the hierarchical update cycle that is guided by how new and expensive your Samsung Galaxy device is has been a pain for many. Moreover, users of even the flagship devices in less-commercialized regions have always suffered a long and grueling waiting period to receive a Samsung software update that others got months ago. Regardless of what Odin version to use on your Galaxy device, every build of the software is completely portable. What this means is that you don’t need to physically install the Odin tool onto your computer, which makes it a whole lot quicker to get started with. Once you have downloaded the specific Samsung Odin version for your device using the Odin compatibility list given below, all you need to do is extract it and open the .EXE file. There are no add-ons required and all the configuration options are found within the software itself. While you don’t get the comfort of updating your Samsung Galaxy device at the click of a button like you do with Samsung Kies and Smart Switch, Odin makes it up with effectiveness. Enabling you to flash official firmware updates warranted by Samsung, Odin ensures that your device warranty stays intact and you enjoy the latest update along with it. While finding the official and legit Samsung software updates may seem like the hard part, all you need is Updato Samsung Firmware Platform to help you out. By simply looking up your device model number and downloading the latest available version from our dedicated and lightning-fast servers, you can update your Samsung device to the latest version with Odin in no time. Rooting and software modifications were introduced to Galaxy devices before Odin arrived with software such as Auto-Root. However, Odin in support of singular root packages designed for specific devices by developers like Chainfire has helped make Samsung Galaxy rooting a common sight. By simply adding the root packages to Samsung Odin and flashing them onto the device, you can have any Galaxy device with root access enabled in no time. It goes without saying that rooting does take away your device warranty and always a dangerous tool in the hands of inexperienced users, so do tread the waters carefully. As you may already know, mobile and tablets have a certain amount of storage space reserved for the software, which is based on the partition size. Odin essentially enables you to modify the system and re-partition the onboard storage memory. This feature can essentially allow you to either increase the partition size to install a firmware that is large in size, or reduce to partition size to get more space for apps and data. Either way, re-partitioning Android is considered off-limits even by experienced users, so only proceed with it if you have nothing to lose. Being one of the largest Android OEM manufacturers with a massive market share, Samsung has quite the following. This has led to talented developers in the community to bring about custom firmware for Galaxy devices that help in unofficially upgraded the software and enhancing the performance of devices with custom ROMs. Developers like CyanogenMod and Paranoid Android are already quite popular among Galaxy devices. Regardless of what Odin version to use, you can use the flashing tool to give your device quite the upgrade that it surely deserves. However, you need to be careful if you decide to flash a ROM with Odin because this is a dangerous process and it may result in bricking your device. While you always have the chance to revive your device and restore it with Odin itself, there are chances of doing some irreparable damage. If you want to flash a ROM you need to download and install the proper ODIN version and then follow the guide on how to install an official firmware with Odin. Our extensive guide will help you get the latest Samsung software update and also help you troubleshoot some of the common errors related to Odin tool. While downloading the right version of Odin for your Galaxy device is the easy part, understanding how it exactly works is the real question. A first look at the main screen of Odin as seen in the screenshot below can be quite daunting to somebody who has never used the software before. Auto Reboot – You can use this checkbox option to set the device to automatically reboot once the device software flashing process is complete. Re-Partition – The option enables you to re-partition the device to its default state. It is especially useful if you end up partitioning your device and incur issues. Reset Time – Simply enables you to reset the flashing timer once the entire firmware flashing or rooting process is completed on Odin. PIT – Defined as the Partition Information Table, this button can be used with the “Re-Partition” checkbox to set a customized partition system on your device. You will need to specify a .pit file to flash with Odin when using this button. Bootloader – This button is used to flash a custom bootloader to your Galaxy device. You will need to procure a compatible bootloader file and insert into Odin to flash it. PDA – The main button that the majority of users will be using no matter what Odin version to use, PDA helps to flash firmware build to the device. Simply press the button and insert the compatible Samsung firmware or custom ROM that you want to flash on to your device. Phone – This refers to the baseband/modem version of the device. CSC – Referred to as Consumer Software Customization, this button is intended to help you add a .CSC file to the device. These type of files contain details such as regional or carrier specific files which may include APN/MMS settings for the carrier. IMPORTANT: As an inexperienced user who is new to the world of Samsung Odin, we suggest you stick to basics when it comes to using the software. Make sure you avoid the more complex features like re-partition and bootloader tools when using Odin software. What Odin version to use? Since the Samsung Galaxy lineup is expensive with hundreds of devices, one size does fit all and the same goes for Odin. Over the years, Odin software has also been updated to comply with the needs of newer devices, which has led to different Odin versions for various devices. To help you find the compatible version for your Samsung Galaxy device, we have compiled a list of all the Odin versions released over the years. Simply go through the Odin compatibility list is given down below and get the right Odin version mentioned for your device. What Odin version to use on latest devices? As a rule of thumb, you can always start off with the latest version of Samsung Odin when it comes to flashing your Samsung device. While we have included older versions of Odin tool for reference, we suggest you begin by trying out the latest version of Samsung Odin. 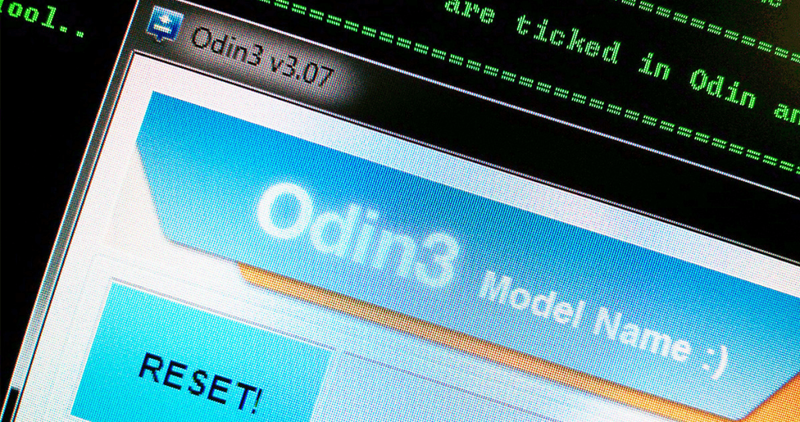 The latest version of Odin tool is v3.12.3, which can be downloaded using the direct link given down below. We you able to find out what Odin version to use on your Samsung Galaxy device? Did our comprehensive guide on all the Odin features and the lengthy Odin compatibility list help you find your device? If you have any questions about Odin, our Updato forum is open!